"Your surgeons did an amazing job. I wanted to be able to see my grand children grow up and you've given me that opportunity. " Simply put, Florida Eye Specialists and Cataract Institute is here for your eye surgery needs. Our surgeons’ vast expertise and skill mean that no matter the procedure, it will be handled with the utmost efficiency and care. Our distinguished and trusted doctors work in conjunction with our state-of-the-art facilities to ensure patients receive the best possible treatment. 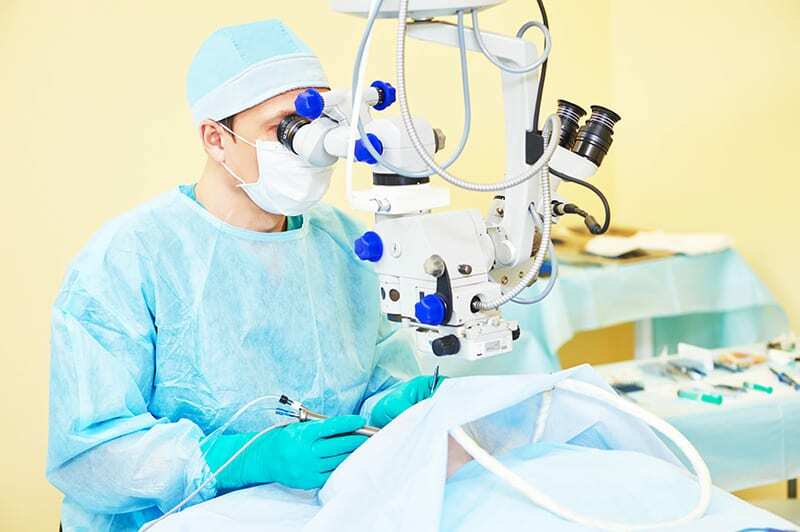 Even more importantly, Florida Eye Specialists and Cataract Institute provides a wide variety of procedures to suit the needs of practically any patient. Most procedures are done in our own facilities, either in our own operating rooms or in private procedure rooms. All are equipped with state-of-the-art technology, and designed for maximum patient comfort. If your procedure requires hospitalization, we have relationships with all leading area hospitals.